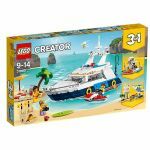 The LEGO Creator series LEGO set a fun and interactive series that is perfect for kids of many ages, and lets your child experiment with a range of different settings and environments such as houses, planes, cars and creatures (both real and mythical)! 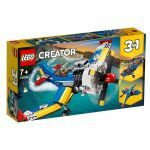 JustBricks stocks a huge range of LEGO Creator sets, which you can easily browse and buy securely online. 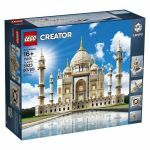 With a huge range of options in the LEGO Creator series, your child can build and create replicas of world-famous structures like the Sydney Opera House, Big Ben and the Taj Mahal. 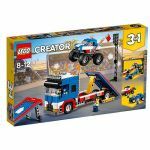 Or how about a mobile stunt show, a drone explorer or even a daredevli stunt plane... there are so many possibilitiies with this great series that the kids (and teenagers) will love. 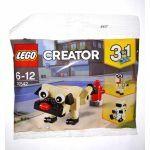 The LEGO Creator 3-in-1 sets allow your child to choose between 3 different builds, keeping them entertained and enjoying their new LEGO set for hours on end. 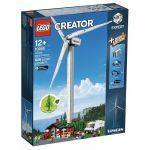 This also makes the Creator 3-in-1 sets some of the best value money can buy, because each of them includes building instructions for at least three different models to enjoy. 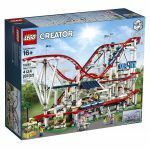 This increases both the play-value and the number of interesting and fun building techniques your kids can learn. 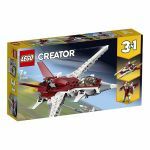 Shop at Just Bricks for the best prices and fast shipping on all LEGO Creator Sets.